Kids can learn new Easter vocabulary and practice their spelling with these easy to challenging word search games with a Pascal theme. Parents and educators interested in the religious aspects of the holiday can find related resources at bible word search puzzles for kids. For offline solving, these have print-friendly Easter worksheets. The puzzles are listed in order of difficulty, from the easiest to the most challenging. Easter Word Search Puzzles: Here, you'll find four-word search games with an Easter theme. You can choose between a secular or religious version of the puzzle. There's an easy, six-word game or a more challenging game consisting of 18 or 20 words. The puzzle is available in either B&W or color. Solution provided. Squigly's Easter Word Search: 19 hidden words pertaining to the religious aspect of the Easter holiday need finding in this word game of medium difficulty. Easter Basket Word Search: This game features 20 words naming tasty treats the Easter Bunny may bring. Easter Bunny Word Search: Here's a puzzle devoted to the Spring Hare himself. Find the 20 words associated with this symbol of springtime fertility. Easter Sunday Surprise Word Search: This religious word search puzzle features 20 words from Luke 24:1-12. Here's a selection of free crossword games to print and solve in the classroom, at Sunday School class, or on the kitchen table. Easter Crossword Puzzle: Nine Easter-related words are featured in this freeform crossword puzzle. Solution provided. Easter Crossword Puzzles: Here's an easy crossword puzzle featuring 11 themed entries. The picture version of the puzzle is excellent for preschoolers and children who are just learning to read and write. Older children can use the verbal clues to solve the puzzle. The puzzles are available in B&W and color. Solution provided. Easter Crossword Puzzle for Kids: This 14-word crossword puzzle uses short words and long clues. Easter Middies Crossword: For middle school students, a 21-word crossword worksheet featuring both religious and secular aspects of the holiday. Solution provided. Squigly's Easter Crossword: 22 Easter-related words are used in this crossword game of medium difficulty. Easter Deluxe Crossword: This challenging crossword game features 28 themed entries. Solution provided. Here are some favorite online Easter jigsaw games for children. The three-dimensional puzzle pieces of these puzzles are more fun. Anyone can make their own jigsaw puzzles to share with family and friends. 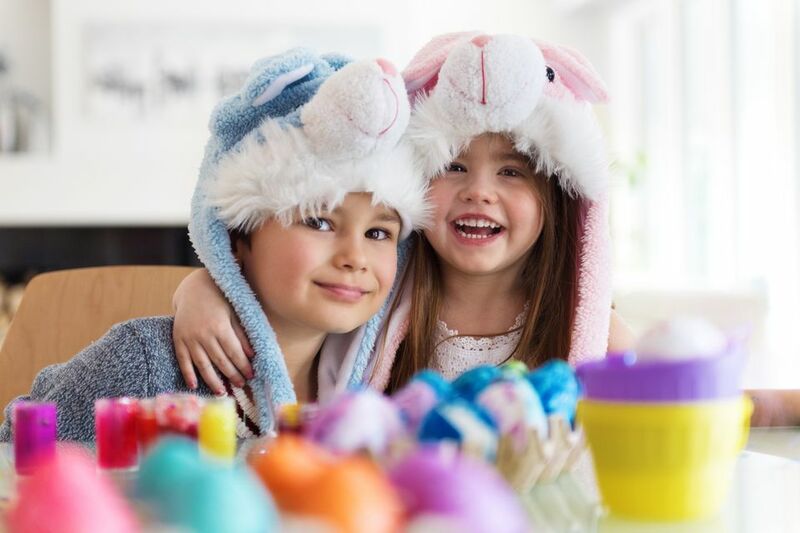 Easter Jigsaw Puzzles: Five Easter-themed jigsaw puzzles for your puzzling pleasure: three Jigzone 48-piece classics and two very easy 12-piece Plutonium puzzles. Easter Jigsaw Puzzles: From the Jigzone Gallery, several online games featuring Easter eggs, Easter bunnies, spring chicks and other symbols of the holiday. Squigly's Easter Jigsaw Puzzles: Half a dozen Easter-themed jigsaws of varying difficulty levels. Young children who haven't yet learned to read can also benefit from puzzle solving. These free hidden picture and spot the difference puzzles are a great way for kids to develop their observation skills. Often found in magazines for young readers, these visual puzzles are a good tool to help children develop patience and attentiveness. Easter Bunny Spot the Difference: Find the differences between the two images of the Easter Bunny painting eggs. Kids can test their observation skills with these free hidden picture games featuring images related to the Easter celebration. Find the Easter Bunny's 12 Hidden Eggs: Once all the eggs have been found, color in the picture for more Easter fun. Easter Bunny: A free hidden picture game by artist Liz Ball. Easter Hidden Picture Puzzle: Another hidden object puzzle with a Pascal theme by Liz Ball. Young children can learn and practice their numbers with these free Easter Connect-the-Dot Games. Enjoy these easy counting games featuring eggs, chicks, rabbits and other symbols of Easter. Easter Anagrams: Unscramble the letters to come up with a word or phrase having to do with Easter. Easter Word Scrambles: On this page, you'll find two sets of scrambled word puzzles. Once you've unscrambled the letters, use the circled letters to figure out the hidden word. Print. Easter Word Unscramble: 15 Easter words need unscrambling in this print-friendly anagram game. Print out these puzzles for more puzzle fun. Squigly's Easter Logic Puzzle: Use your deductive reasoning to determine which color eggs were painted by which child. Easter Egg Hunt Logic Puzzle: Try to determine how many eggs of each color were found by each child. Squigly's Secret Easter Code: Can you break the code and decipher the secret message? Squigly's Special Message: Solve the clues and write the answers in the box. When finished, the first letter of each answer will spell out the special message. Easter Cryptogram Puzzles: Substitute the letters in the puzzle with the correct letters to decipher the message.